2012 has been a rough year for gaming industry, we expect wonders with games like MoH: Warfighter, Call of Duty: Black Ops Declassified and many others, but they all fall flat of their faces and can't lived upto the expectations (Read more HERE to find out our Top 5 Most Disappointing Games of 2012). However there were few games released in 2012 that delivered on every front, and so this time around we would like to present to you Top 6 Best Games of 2012. Do Let us know in the comment section below, whether you agree with the list below or not and why? ThatGameCompany (developer behind award winning PSN game "Flow & Flower") challenged traditional gaming conventions with "Journey". The game delivered simple gameplay and accessible controls in a rich interactive environment that invited gamers to explore and experience emotional chords that are still uncommon in video-games. Journey was an exotic adventure with more serious tone. It presented a unique vision of an online adventure experience. Awakening in an unknown world, the player walks, glides, and flies through a vast and awe-inspiring landscape, while discovering the history of an ancient, mysterious civilization along the way. Journey included an innovative approach to online play which encouraged players to explore this environment with strangers who cross their path from time to time. By traveling together, they can re-shape the experience -- creating authentic moments they will remember and discuss with others. With The Walking Dead video-game series, Telltale games forced gamers to take painful decisions about the lives of some extremely well-developed characters. The series was spread over the course of five episodes, all filled with emotions, high level of design and puzzles. 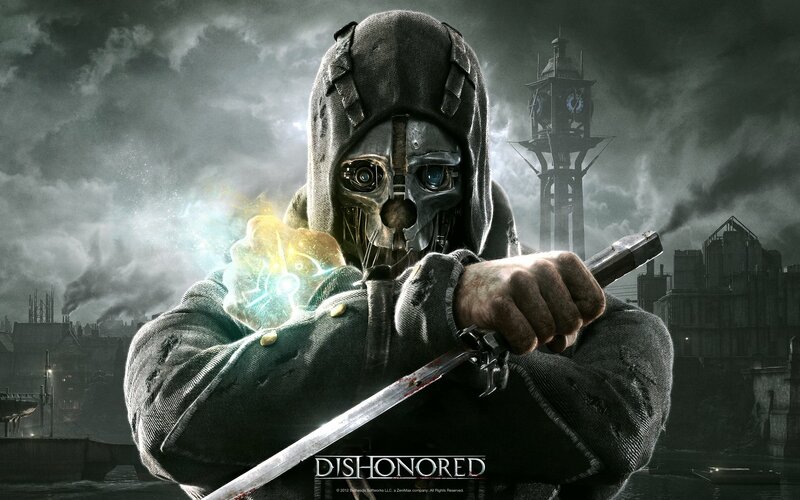 Dishonored was probably the stand-out game of 2012. The game supported multiple game-styles and included tons of thing for everyone no matter whether you are fan of stealth, action, first-person shooter or strategy genre. With Dishonored, Bethesda offered its fans something that they'd never experienced before. Arkane Studio was expected to delivered a massive hit with Dishonored, and guess what they didn't disappointed. The developer took gamers to the fantastic fictional city of Dunwall and offered them a story filled with betrayal, revenge, and murder. When Microsoft announced 343 Industries as a new developer for HALO 4, die-hard fans of the series looked anxious and concern, but 343 Industries lived upto the expectations and delivered probably best HALO game in franchise history (with respect to gameplay, graphics and brand new emotional direction). HALO 4 marked the return of our beloved Master Chief. The game was set almost five years after the events of Halo 3, and set a perfect stage for an epic new sci-fi saga on Xbox 360. Halo 4 also introduces a new multiplayer offering, called Halo Infinity Multiplayer, that builds off of the Halo franchise's rich multiplayer history. The hub of the Halo 4 multiplayer experience is the UNSC Infinity – the largest starship in the UNSC fleet that serves as the center of your Spartan career. Here you’ll build your custom Spartan-IV supersoldier, and progress your multiplayer career across all Halo 4 competitive and cooperative game modes. Far Cry 3 just managed to sneak into 2012, a unique and one of its kind open-world jungle island FPS adventure from Ubisoft. The game featured some stunning and jaw dropping opening scenes, which was very well supported by villain. Far Cry 3 lived upto all the expectation fans that too on every front. Borderlands 2 showed the gaming world what exactly a winning formula is for being a successful game. Initially critics and some section of gamers underestimated Borderlands 2, but it came out from nowhere and earned a well deserved place in top games of 2012 list. Borderlands 2 offered fans an addictive gameplay and shoot and loot mechanic, hilarious dialogue, memorable characters, infinite weapons and treasure. In my opinion Borderlands 2 is truly and agruably 2012's best overall value game.